Not only do digging dogs destroy the yard [say that 5 times fast! ], but they also track a huge mess into the house. Warmer weather has brought small critters – such as moles – out of hibernation, which many dog breeds lover to hunt. Listed here are ways to keep moles out of your yard. 1 Why Do Dogs Dig for Moles? 2 Are Moles Dangerous to Dogs? 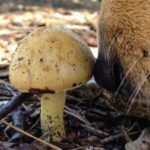 Why Do Dogs Dig for Moles? There are many reasons that dogs dig in the yard, including boredom, attention-seeking, warm weather relief, and in search of small animals. If your dog is a terrier of any type, however, chances are that your dog is seeking small rodents. After all, many terriers were specifically bred for rodent-control, and certain breeds (such as the Jack Russell Terrier), were developed for controlling mole problems. 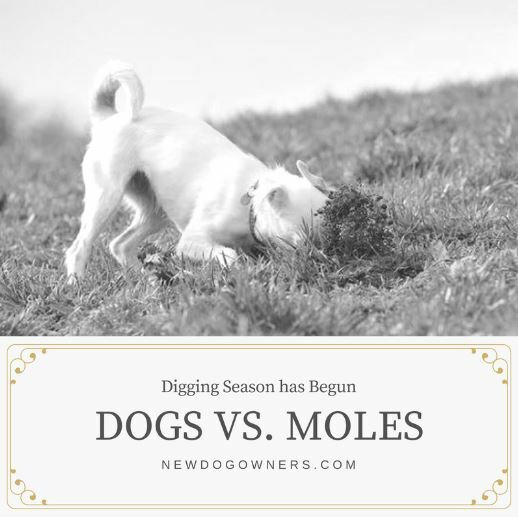 Thanks to your dog’s keen sense of smell and hearing, your dog will likely detect the presence of a mole long before it makes the telltale mole hill in your yard. Dogs can hear the sounds of these critters digging underground, which send your pup into a digging frenzy. 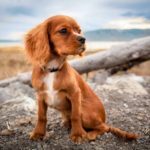 Are Moles Dangerous to Dogs? What happens if your dog catches a mole? Fortunately, there are few diseases that can be spread from moles to dogs. However, moles can carry rabies. If you are concerned about your dog’s health after contact with a mole, consult your veterinarian. A more common issue that occurs when a dog kills a mole is secondary poisoning. Poisoning is a concern if you have used toxic mole poison in your yard. For this reason, dog-safe mole removal methods are necessary. The most common way to prevent moles in your yard is to get rid of their food supply. Moles eat things like earthworms and grubs. Ridding your yard of the food supply is the best way to keep moles out of your yard. No food, not worth the hassle of hanging out. We use GubEx which can be found here. Just make sure to read though warnings around pets when treating. If you want non-lethal options, you will find them below. One way to keep moles out of your yard is to install underground fencing around your yard’s perimeter. This fencing solution must be 24 inches deep to ensure the mole does not dig beneath the fence. Although this method is costly, it is an effective method especially when paired with an above-ground fence. Taking cost into consideration, this options would probably only be viable for very small yards. If moles have already invaded your yard, one non-lethal way to discourage them from returning is to use a shovel or pitchfork to collapse their tunnels. Simply push the mounds down to fill the tunnels with dirt. While tedious, this step is important when used in conjunction with other mole preventative methods. Just destroying mole tunnels will not be enough. You will find the tunnels and fresh dug mounds within hours of platting them out. It will be a an endless battle without combining with other methods. Before flatting the tunnels and mounds, you can place mole worm poison into the tunnels. These are safe for you pets since they go underground in the mole tunnel/mound. This options may be best for larger yards that are not overrun with moles. It is also a good to use in place treating the whole yard the 2nd year. Moles do not like the scent of garlic or chocolate lilies, which is why these plants act as natural mole deterrents. When planted along the fence-line of your yard, they can be strategically used to prevent moles from entering. Beware, however, that lilies and garlic are both toxic to dogs and cats, so do not install these plants if your pets are prone to eating foliage. Check out out post My Dog Ate ___ for more information on the affects of these plants. This option may be best for dog owners with a fenced yard that doesn’t mind a little extra trimming when cutting the grass. 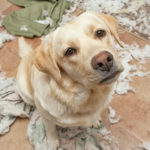 It may not be best for owners who have dogs that may eat them. Castor oil is a safe, non-toxic mole repellent that can be used in a pet-friendly yard. Moles do not like the taste, smell, or feel of castor oil, which also coats their food source (earth worms) with the unsavory compound. Moles will therefore avoid your yard in search of more appetizing areas. Castor oil mole repellent can be found in home and garden stores and is environmentally friendly and biodegradable. Ultimately, dogs that have a strong prey-drive for small animals tend to dig for moles in the spring and summer. 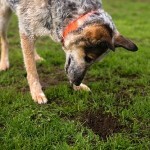 Although moles generally pose few threats to dogs, they can destroy yards. Choosing a pet-safe deterrent method is important, such as castor oil mole repellent or strategic fencing.